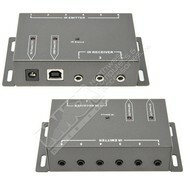 IR Infrared Remote Control Repeater Extender Kit to Control up to 8 Hidden A/V Devices - NWCA Inc.
NEW design! Smaller footprint! Same great product! 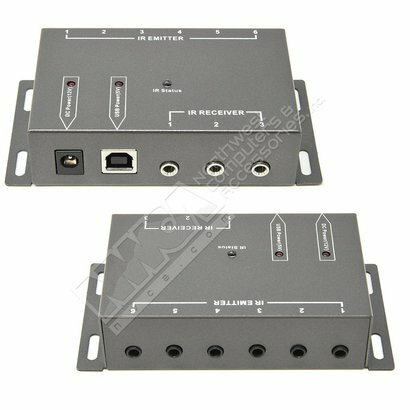 Want to place your cable box or other devices in a closet or other room and still be able to control them from in front of your TV? This Gefone Infrared IR Extender (remote control extender) allows you to do just that! 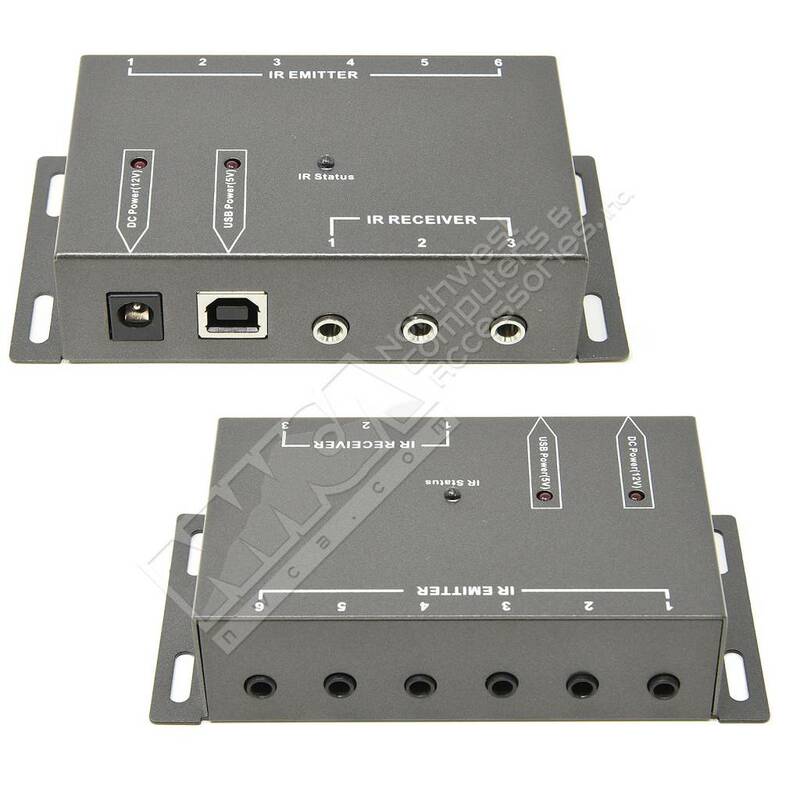 Simply place the IR receiver from the repeater kit where you wish to aim your remote control, run the IR receiver wire from the kit to the distribution block. 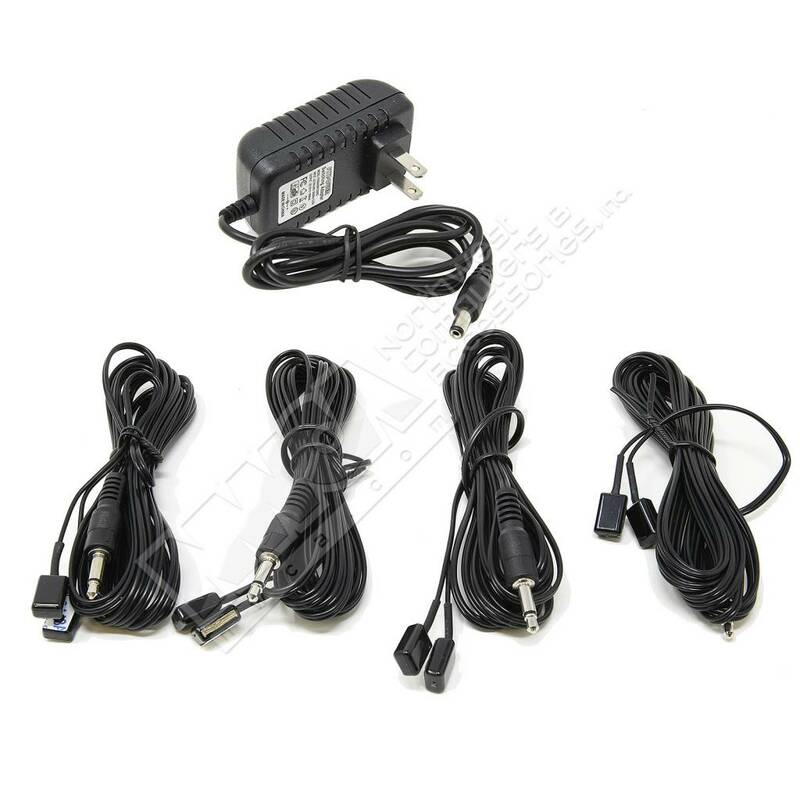 Now run the IR emitters from the kit to the devices you wish to control and place them over the devices IR receivers, plug the kit into a wall outlet and your all set!